If chronological age is truly “just a number” as we are so often told, then why is knowing the answer to what is a normal testosterone level for a 50-year-old man important to men who are 50? Does something alarming happen to a man’s male hormone levels at the age of 50 that you need to be forewarned about? Actually, the loss of a man’s testosterone supply is typically a gradual but progressive process that begins at around the age of 30 and continues at a rate of between one and two per cent every year thereafter. So what is the real significance of knowing what the average or normal amount of this critical hormone is for a man of any particular age? The real significance of knowing is a medical one; doctors need to be able to refer to the clinically established guidelines for the normal range of testosterone levels per age group in order to allow them to properly diagnose Low T, along with several other medical conditions that can result in abnormal testosterone loss. The average numbers are very important to doctors who specialize in treating hormone imbalances and deficiencies, because they are one of several key criteria these doctors use to both correctly diagnose and successfully treat their patients. So you can understand why they would need to know what is a normal testosterone level for a 50-year-old man (which has been clinically estimated at approximately 606 nanograms per deciliter), but we all know that people who were born in the same year can biologically age very differently. Most of us know people who appear to be either substantially older – or younger – than the actual ages that they are; and actually, an adult’s state of hormonal balance has a significant influence on that. Testosterone has such a strong influence on an adult male’s overall vitality, virility and health that its abnormal loss can lead to the development of chronic symptoms that include very low energy, a major decline in libido, and reductions in emotional wellbeing. Low T symptoms such as these can appear when a man is 50 or so; but they can also appear when he is significantly younger than that. It all depends on the way in which his body is aging as well as some other individual physiological factors that we’ll look at next. What Happens When Men’s Testosterone Levels Drop Below Normal? Regardless of whether you are genetically predisposed to developing Low T or other contributing factors such as having high stress levels; being overweight; following an unhealthy diet; don’t get enough regular exercise; or have had a childhood disease like mumps, when your testosterone levels have dropped to the below normal range for your age it can lead to the development of troublesome symptoms – but only for some men. The fact is that some men aged 50 can have what is a normal testosterone level for a 50-year-old man and develop Low T symptoms, while others can have below-normal levels and have no symptoms. The same applies to a man of any adult age. This illustrates why the clinically established ranges only show a part, albeit an essential part, of the total picture. Hormonal imbalances have a way of affecting individuals uniquely and if doctors were to only rely on a man’s testosterone blood test results to reach a diagnosis and recommend treatment, there would probably be a lot of men being prescribed Low T therapy who don’t clinically require it. A man can have male hormone levels that are measured at below the normal range, but if he is not experiencing symptoms, there is no reason to prescribe treatment for him. Some might argue that the absence of symptoms does not diminish the other potential health issues that low testosterone levels have been linked to; but there are other medical tests that doctors can have performed to find out if these issues have developed. Low T has been shown to contribute to the loss of bone density; high cholesterol levels; hypertension; and diabetes; fortunately there are medical tests for detecting all of these medical problems. There is another aspect to understanding what is a normal testosterone level for a 50-year-old man and it is being able to identify male hormone levels that are excessively high. The development of too high levels is also undesirable and unhealthy, which is why bio-identical testosterone treatments are federally classified as controlled substances that are only to be obtained and used by patients who have with a valid medical prescription for them. The medically uncontrolled and illicit use of testosterone injections, gels, patches, and all other forms is not only illegal, it can pose serious risks to the unsupervised user’s health and longevity. Is It Safe to Increase Abnormally Low Testosterone Levels? So when is it considered safe to medically increase a man’s symptomatic and/or abnormally low testosterone levels? 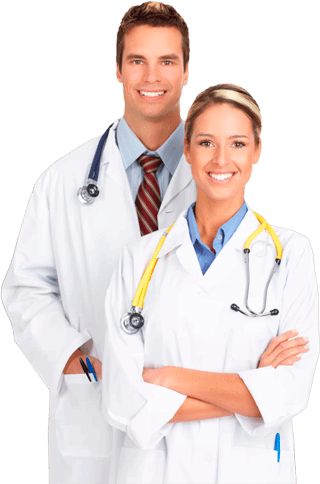 This is a decision that must be made by a qualified doctor, and preferably one who has extensive experience in the diagnosis and treatment of hormone disorders such as Low T.
An experienced hormone replacement therapy doctor is arguably going to be the best qualified to make this judgment on behalf of each individual patient on a case-by-case basis. Each patient’s personal health factors must be evaluated, which include things such as their own medical history, family health history, current state of health, age, weight, and any pre-existing medical condition they may have. Naturally, the results of a patient’s blood testing are a factor and the results of a patient who is 50 are going to be compared to what is a normal testosterone level for a 50-year-old man; but it is the combined evaluation of all the individual factors involved that a doctor who is experienced in prescribing TRT (testosterone replacement therapy) programs that determines whether the use of this type of medical treatment is advisable. When TRT is used prescribed and used responsibly, it has been shown to be very safe and beneficial for medically qualified patients to use. It has a low incidence of causing serious side effects … it provides a variety of important benefits to a patient’s physical, emotional and mental wellbeing … it helps to prevent the development of a number of degenerative diseases … and depending on the firm that is being used, it can be very affordable for patients who are without health insurance coverage that will pay for all or part of their doctor prescribed TRT program. In the end, what is a normal testosterone level for you at this time in your life is medically significant; but what is even more significant is sustaining your optimal male hormone levels during all of the stages of your adulthood. So if you have been experiencing the symptoms associated with Low T, the best thing that you can do is to access a respected and highly qualified TRT specialist like Nexel Medical to advise you on your best course of medical treatment.